Vibrational Medicine or Energy Medicine, is based on the scientific principles that all matter vibrates to a precise frequency and that by using resonant vibration, balance of matter can be restored. It is a fascinating and amazing fact of science that the human body is an electrical and vibrational matrix of subtle bio-electrical charges. Einstein tells us that energy literally creates matter and that energy and matter are interconvertible and transferable. Every living thing produces an electromagnetic field and vibrational frequency. In fact, the earth itself produces its own electromagnetism by way of magnetic poles and vibrates at frequencies between 7.8 hertz (cycles per second) and 40 hertz. This frequency range is known as Schumann resonance. The body receives its energy from the earth’s electromagnetic poles and electrons from the sun simultaneously, producing a loop of energy that continually supplies the body with vital life force. Equally amazing is that the human body has 12 major electrical pathways known as meridians. These pathways deliver life force energy from our spine through the nervous system to various cells and organs. Still more amazing is that there are 12 major colors in the visible light spectrum and 12 notes or perfect intervals in the musical scale, and that each of these light wave colors and sound waves correspond to the 12 major electrical pathways in the human body! Light and Sound can have profound healing effects on physical, mental, emotional and even on spiritual or consciousness levels. These facts have been known by ancient civilizations for many centuries. The Chinese and Ayurvedics, Mayans and other cultures knew of these principles and used them effectively to keep the body in harmony and free of dis-ease. 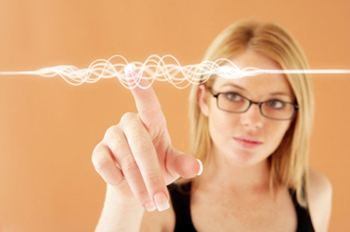 Now, modern science is able to use Light and Sound Therapies with far greater effectiveness. NASA has been implementing light and sound therapies to help astronauts with bone loss due to zero gravity exposure, and for a host of other applications. NASA's numerous studies are well published and fascinating. Light Therapy is a form of vibrational medicine that uses light on the eyes, acupuncture points, meridians, reflex zones, and the chakra system, to communicate the proper frequency for restoring health to the body and electromagnetic field. The human body: a fascinating and wonderous matrix of light and color! From our skin to our core, we are made of light and light is the language by which our cells speak to one another. The DNA within the center of the nucleus of each cell of the body has been shown to emit light. When this light reaches the crystalline structure of the cell wall, it is greatly amplified. The light radiated from the cell naturally congregates with like cells because they share the same frequency (color) of light. These groups of cells form organs and the other structures in our body, each resonating with a specific color. All living things are surrounded by fields of energy and emit visible light in extremely small quantities. Kirlian photography is able to capture these subtle emissions. 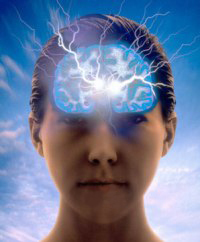 The field of light and energy that surrounds the body is called a "biophoton field." Eastern medical traditions have operated on this premise for thousands of years. This energetic model for health has influenced Tibetan medicine, Traditional Chinese medicine (TCM), and Ayurvedic medicine. In 1974, Dr. Fritz-Albert Popp proved the existence of the biophoton field. He demonstrated that normal living cells emit a regular stream of photons, or quanta of light radiation. In his book Biologie des Lichts (Biology of Light) he showed how living cells pass on biological information via photons, through the language of light. Studies in quantum physics have shown that light and sound are interchangeable energies, and that all physical, mental and emotional imbalances have frequencies that can be harmonized and rebalanced. 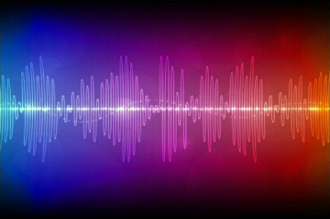 Everything in our physical world – every organ, cell and atom in our bodies generates electromagnetic fields that vibrate at specific light, color and sound frequencies. Light moves at varying speeds to create what we see as light wave frequencies, or simply put – color. The human body is intimately keyed to color. Colors can be linked to our moods or emotions, states of mind and to our physical health. Reds, oranges and yellows are warm and expansive, generating a feeling of energy, excitement and joy. Blues, indigos and purples are calming and cooling. The physics and psychology of color governs all life on planet earth – every rock, plant, tree, flower, and animal is affected profoundly by light waves. Light and Sound is essential to our health and well-being. Light is nourishment to the body. It is essential that we receive light into our bodies everyday. But instead, we have become a society of staying indoors most of the time. When we are outside, we may wear glasses, contacts or sun screen. All of these block some portion of the full spectrum of light which starves a part of our body. 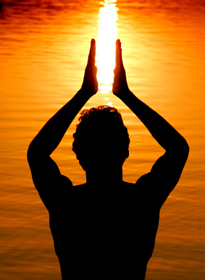 Light enters our body primarily through the eyes (about 90%), and also via the skin and chakras. Light stimulates and supports the important endocrine system as well as the immune system and organs of the body. Full Spectrum Light Therapy has been shown to dramatically reduce depression and anxiety in those suffering from Seasonal Affective Disorder, and has also been very helpful for drug and alcohol addiction. The visible spectrum (color), as well as infrared, and ultraviolet light (invisible) are also essential for the complete health of the body. It has been shown that 2 hours of indirect sunlight everyday create healthier bodies and emotional well-being. Color Therapy uses colored light on the various energy pathways of the body and also uses colored light for the transformation of consciousness. Sound Therapy utilizes tuning forks, music, quartz crystal bowls, chanting, toning, Tibetan bowls, Rife technologies, Radionics and more to create harmonic vibrational resonance for health and well-being. Sound is the most obvious of all vibrational and resonance therapies. We all hear and feel the vibration of sound. Sound also affects us emotionally: a beautiful piece of music can bring us to tears and the sound of an explosion can create fear. Random, unfocused and chaotic sound produces dissonance and anxiety. Focused, conscientious sound creates resonance and harmony. By using sound intentionally from a neutral space in a quiet, peaceful environment, healing and higher levels of conscious awareness can occur. Our mental and emotional health is often neglected if not entirely overlooked today. In our left-brain dominated culture, we are constantly straining and striving to cope with the stresses of our busy day. From our early morning alarm clock to our work commute, we spend much of our time in a highly reactive state of mind, anxious to problem solve, analyze, categorize, sequentialize, control, reason, and try to make sense of vast amounts of information in the attempt to simplify our lives. We forget that we need to nurture our right brain, which is our intuitive, creative, artistic center. It is the place where we sense without limit or boundary and where we possess the ability to perceive things at a much deeper level. More importantly, it holds the key to our ability to change and grow, to expand beyond the limits of ingrained habits and negative thought processes. Our creative mind is the place where we can finally relax and just enjoy being, whether it be playing or listening to music, enjoying a beautiful sunset, or taking a nature walk. Many of us don’t have the time or patience to meditate or take yoga classes. Many more of us are so caught in the treadmill of daily life that we are unable to relax or be creative, we’ve become so desensitized we begin to feel that the simple pleasures of life are irrelevant to our continual struggle to achieve. This leads to imbalances and disruptions in our vital life force energy. 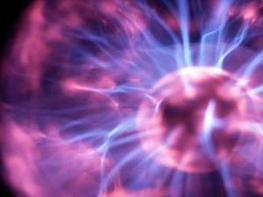 What conditions disrupt our life force energy? When your life force energy is disrupted or altered, disease results. All disease therefore, begins at the subtle energy level and later manifests physically. Spiritual sickness, emotional blockages, electromagnetic pollution, poor dietary habits, food allergies, irradiated foods, air and water pollution, anxiety, fear and stress all contribute to lower life force energy. Energy Medicine Center offers the latest in Vibrational Light and Sound therapies to help clients achieve greater health, balance and sense of well-being in their lives. Our goal is to help our clients to integrate body, mind and spirit by harmonizing and balancing internal or mental and emotional energy with external or physiological energy.Dr. Joel Price has created a healing system he calls Acu-Vedic Light and Sound Therapy or ALST. 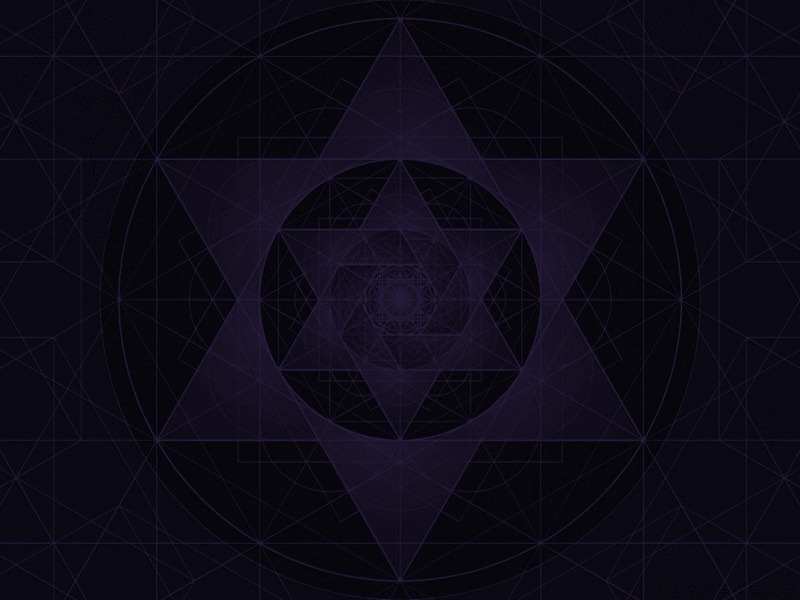 Dr. Price's system recognizes that the basic fundamental building blocks of our Universe are based on the mathematics of Light, Sound and Sacred Geometry. The body is essentially comprised of light and sound wave frequencies which correlate directly to the acupuncture meridians as well as the Ayurvedic charka system. of the musical scale at various octaves depending on what level of healing is required. Specific color and sound wavelengths are used to bring the body into a state of greater balance and harmony and to release blockages. Physical, mental, emotional and spiritual imbalances can be effectively transcended with this powerful yet gentle vibrational light and sound therapy system. Energy Medicine Center offers vibrational healing techniques and strategies to meet each individual’s unique needs for total balancing of body, mind and spirit. The energy room at Energy Medicine Center was created to help people re-balance their mind-body energies and re-awaken their intuitive-creative selves. In as little as 45 minutes, two to three times a week, without effort or self-conscious awareness, one can expect to see some amazing changes take place as they recharge and reinvigorate their mental and emotional energies with lasting results. Using state of the art light and sound technology, we are able to profoundly affect the brain-wave states and patterns of our clientele, thus enabling them to break through barriers which have prevented them from enjoying life to its fullest. Whether you need to relax, de-stress, be more creative, improve sleep, memory, learning abilities, visualization, meditation, be more energetic, we can provide a comprehensive program to suit every need, and make it a truly fascinating and enjoyable experience. We also offer phototherapy, which is very effective in treating seasonal affective disorder. Unfortunately, many of us spend our working time under fluorescent lighting, which is known to cause eye-strain, headaches, fatigue, release of stress hormones, and decreased productivity. 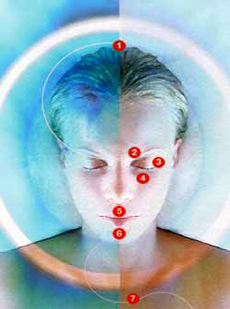 Full-spectrum light therapy has been shown to be dramatically effective in supporting fatigue, depression, diminished immune defenses (including the common cold), lymphoma, hormonal imbalances, thyroid dysfunction, atherosclerosis, skin problems, stress, psycho-spiritual problems, jet lag, weight gain, and many other problems resulting in a deficiency of natural light. Many biologists, quantum physicists, and naturopathic physicians now agree that full-spectrum light is man’s most important nutrient, as everything on earth, everything we call life, comes from the sun.